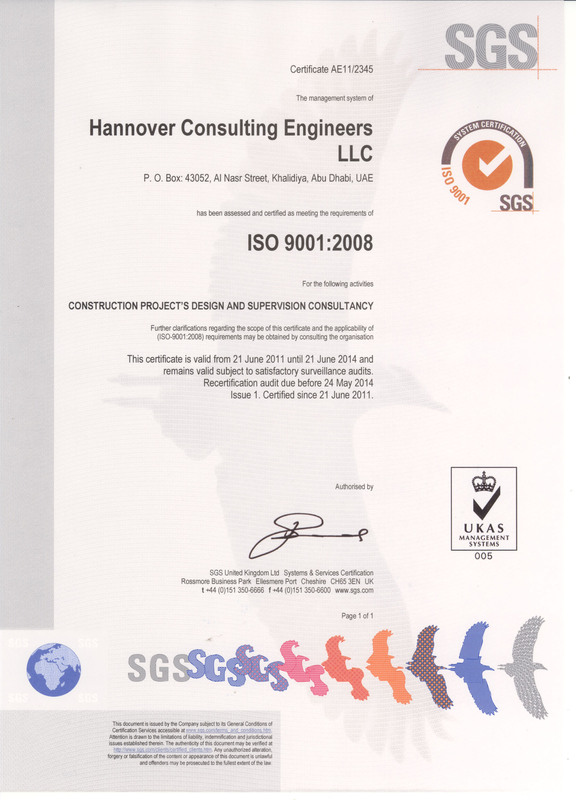 Hannover Consulting Engineers (HCE) and its team are committed to bringing state-of-the-art design and technology in Architectural, Structural, Interior, Landscaping and Electromechnical Engineering services in the UAE. Primary focused on delivering Architectural and efficient Structural Engineering solutions, HCE has extensive experience in a large variety of consulting services of varying size and complexity. The Services encompass Villas, High rise structures and buildings, both,conventional and modern. HCE service range covers most of engineering disciplines from conceptual design to final detailed drawings. The multinational nature of its staff reflected on the “rainbow” of projects styles that include oriental, western, contemporary and classical. HCE services include preparation of a reliable feasibility study based on a solid knowledge of the local market. HCE can provide solutions to challenging projects, across different styles of buildings, infrastructure and other areas of construction, in addition,HCE has the ability to bring together the best professionals to suit each Client’s needs through cooperation programmes with other international engineering firms. Whatever the challenge, HCE has the expertise and resources to resolve it and that is what makes us different . The Engineering team at HCE has a reputation for sound construction industry knowledge and a history of providing a reliable and cost effective, engineered solutions to developers and entrepreneurs. The wide-ranging experience and success in the engineering services market has earned HCE an enviable reputation in the market. Working in both public and private sectors across a wide range of industries, HCE has consistently helped Clients to realize their projects in the best possible manner. HCE credits diligence, responsibility and determination of its staff as key principles that have steered the company to its well deserved recognition in the market. HCE follows a very simple doctrine that dictates core values. We believe commitment and value driven services guarantee long-term growth, profitably as well as reputation. To that effect, HCE provides a stimulating work environment for its staff in the rank of key engineering professionals to office personnel to extract the best from them. From offering incentive programs to regular training schedules, HCE invests heavily in its manpower to ensure a professional environment. Well established in the UAE, Hannover operates from its offices based in Abu Dhabi, Dubai and Ajman bringing together an unrivalled range of technical, design creative and management skills. In the future, the company has long-term ambitious plans to expand its activity in other countries of the region.